Optimist Club of New Ulm is excited to offer students an opportunity to grow personally, academically and inter-personally. We offer a variety of ways for students to achieve the higher excellence and receive awards to support their efforts. Scholarships, contests, academic recognition and childhood cancer campaign are all offered through the local club through our fundraising efforts. – A speech contest designed to inspire youth of today to motivate and inform others on the art of public speaking. New Ulm has been represented at the District level. Awards range from $100 - $300 at the local level and $5,000 at the district level. Submit application to the NEW ULM Club address by 3/1 of the current year. – A contest offering an opportunity to youth who are hearing challenged to present their thoughts on specified topic in a public forum. A student from New Ulm won a $1,500 scholarship on the District level. 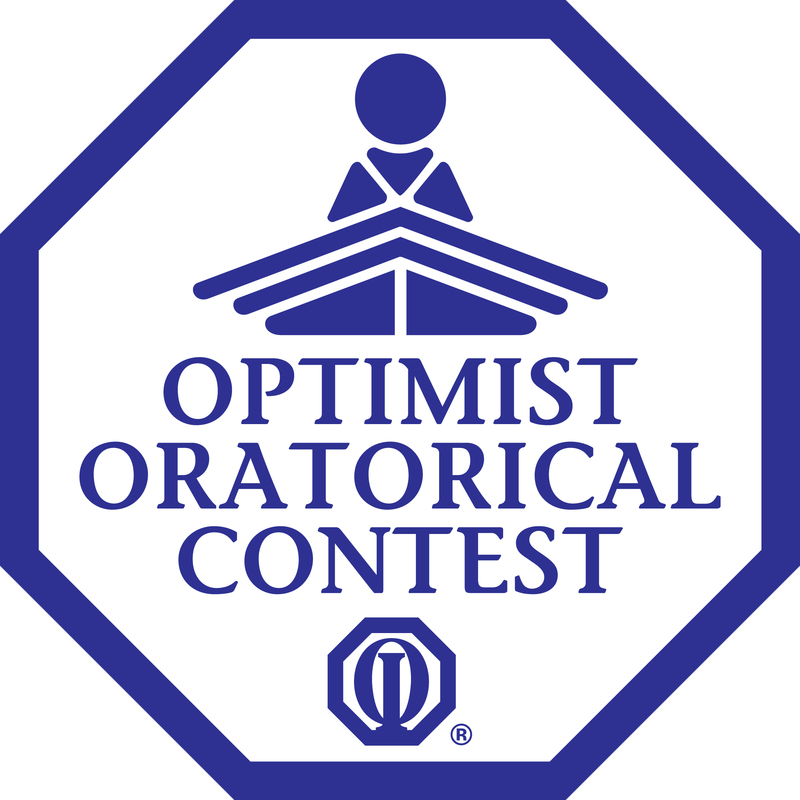 **Each of the winners in the Oratorical Contest and CCDHH advances to the Zone and District level where they compete for college scholarships. – Annual student recognition breakfast for student (and their families) in grades 9 through 12 who achieve at least a 3.6 cumulative GPA. ISD #88, Riverbend Education Center, NUACS, MVL, and the Christian School. 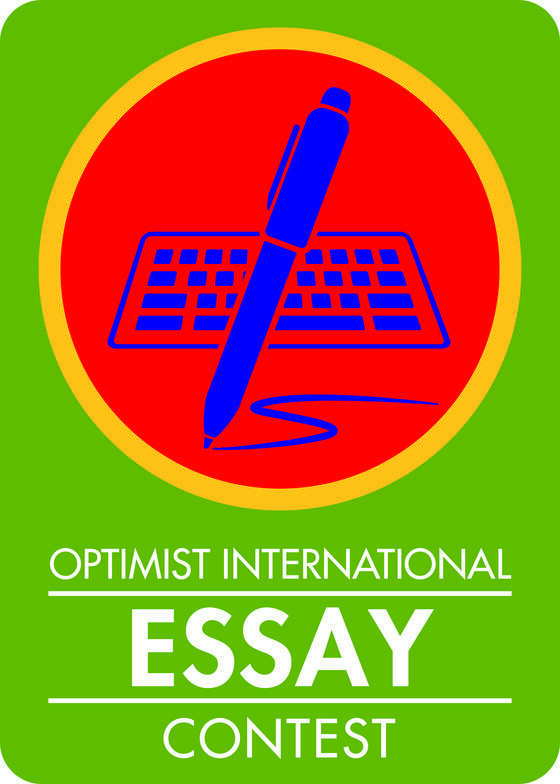 –Opportunity for students to express their opinion in written form about a specified topic & the affect on the world in which we live. Winners have a chance to compete for a scholarship at the District level and advance to the International level. Awards range from $100 - $300 at the local level to $5,000 at the district level. Submit application to the NEW ULM Club address by 2/15 of the current year. – Annually our Optimist Club has hosted qualifying students at the tournament for the Optimist International Junior Golf Championship (OIJGC). Top golfers compete at the District Tournament to advance to the OIJGC in Florida. Contact the NEW ULM club for a sponsorship. - An Optimist International program providing support to children with cancer, their families, care partners, and healthcare providers. Through this program, Optimists are raising public awareness of the disease that kills more children than any other. The Board of Directors has proclaimed June as OI Childhood Cancer Awareness Month. The goal of this program is to rid the world of childhood cancer. Please ask about Spinoza Bear. 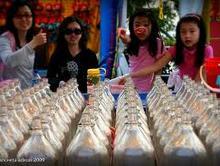 Projects that provide financial resources to support our programs for the youth of the New Ulm area include Ring Toss & Cheese Curd. ​Fun for the whole family. 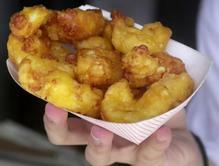 – The Optimist Club sells homemade deep fried cheese curds at the Brown County Fair, Oktoberfest and Winthrop Fun Days ~ This homemade secret recipe is said to be better than the State Fair!